Townsend writes lovingly of the Italian world in a love story about questioning of values and ideals. But she admits she’s in love with Jack, the man she’s been dating for two months. “The only hope,” as she sees it, “is to keep reminding herself that this is not the first time she’s fallen in love.” It is the first time she’s dated an Italian, a fact she’d hadn’t even known until the evening they board a plane for a family wedding in Italy. Soon, Jamie is cocooned in a language she doesn’t understand, eating food she doesn’t normally eat within a family she never fathomed. Townsend writes lovingly of the Italian world—subtly explaining dishes like agnolotti (it’s not ravioli!) and tumin (marinated cow cheese)—so that the reader is indeed part of the “knocking of elbows and brushing of legs and everyone eating and talking all at once” at a crowded family meal. Jamie’s theories on love and marriage are familiar—an independent women struggling against her feelings. But we don’t always get to see the raw emotional work of untangling them. Because of this, Jamie’s character is often at arm’s length. But Jamie makes a decision that will change her forever, though she doesn’t believe so at the time. This is a love story that unwinds across two contingents and between the vines of an old family vineyard. It’s also a story of finding oneself—for Jamie and Jack, of questioning values, ideals and family stories. Jackie Townsend lives in New York. 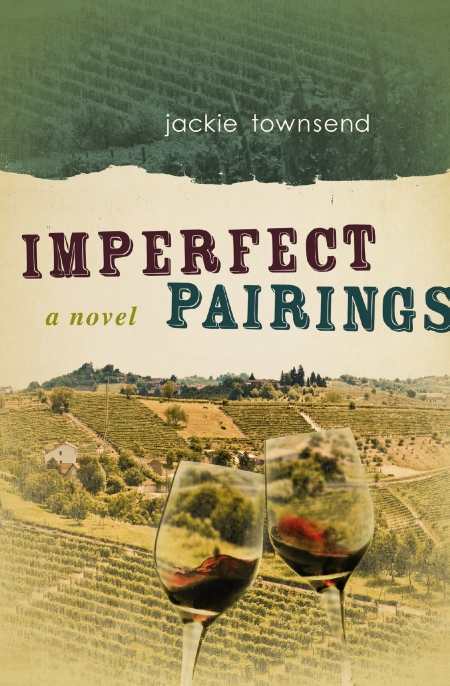 Imperfect Pairings is her second novel.